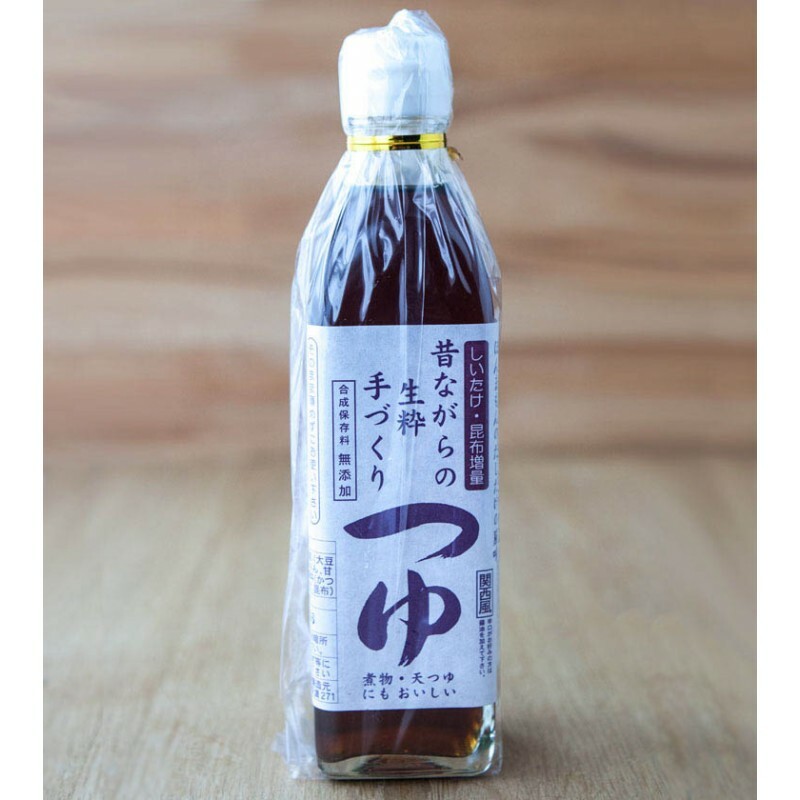 Tezukuri-Tsuyu is special handmade seasoning soy sauce made from bonito soup stock, shiitake mushroom, and a generous amount of kombu seaweed soup stock. It is available only in limited quantities, because it is homemade and difficult to make in large quantity. Ideal for noodle dishes it can also be used in dressing, sauces and marinades. 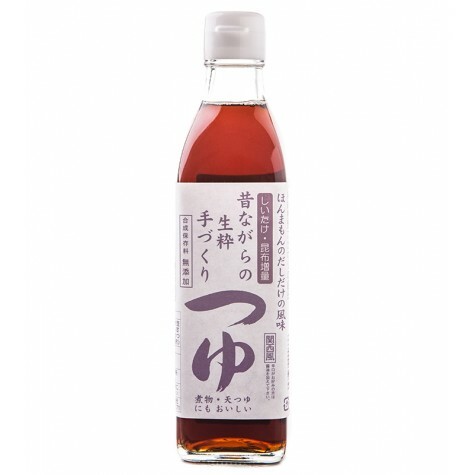 Honjozo marudaizu shoyu (incl soya beans, wheat and salt), hon mirin, amazake, sugar, apricot, natural flavors: dried bonito fish flakes, shiitake mushroom, kombu seaweed.